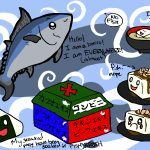 This is the last article in a three-part series about going to Japan as a vegan. 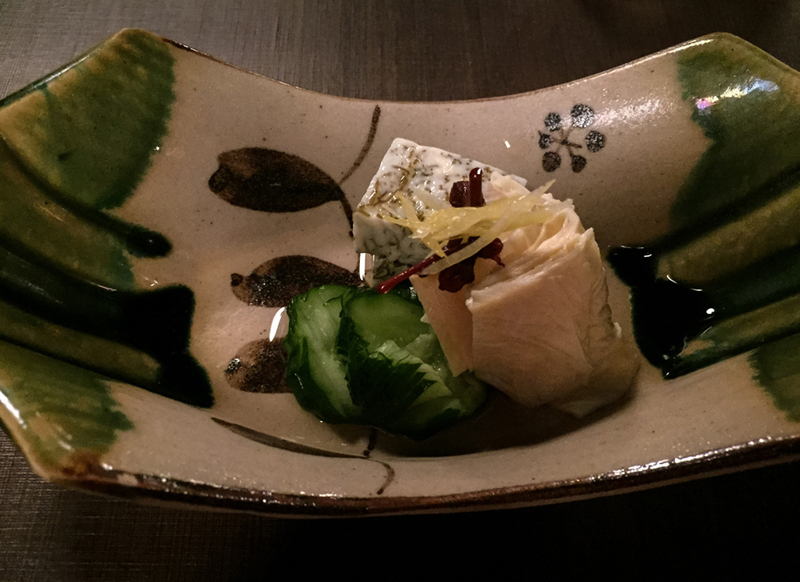 Part one introduced traditional Japanese cuisine, its opportunities and challenges for vegans. Part two provided some vocabulary to help with the identification of possible hidden ingredients and key phrases to make communication in restaurants a little bit easier. In part three, I want to look at some of the quintessential culinary classics many first-time visitors might want to try in Japan—and the ways vegan travelers might enjoy them. Ramen is a noodle soup that’s almost never vegan. The broth used is usually meat-based, and very few ramen restaurants offer a vegan alternative. Luckily, there are a few places where you can sample this classic dish. One of these places is T’s Tan Tan, a vegan ramen shop in Keiyo street, a shopping area within Tokyo Station. Located within the ticket gate area, you have to be on your way to taking a train or buy a platform ticket to get there. An English menu is available. 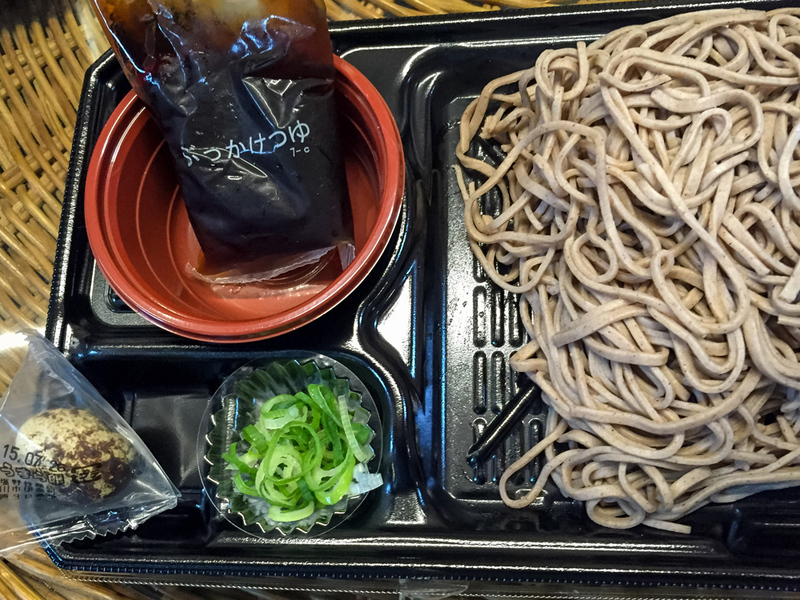 Soba, buckwheat noodles, and Udon, wheat flour noodles, come in two forms: hot and cold. While the hot variety is served in a soup almost certainly containing dashi, cold noodles are fairly safe and especially delicious in summer. Cold soba from a konbini. 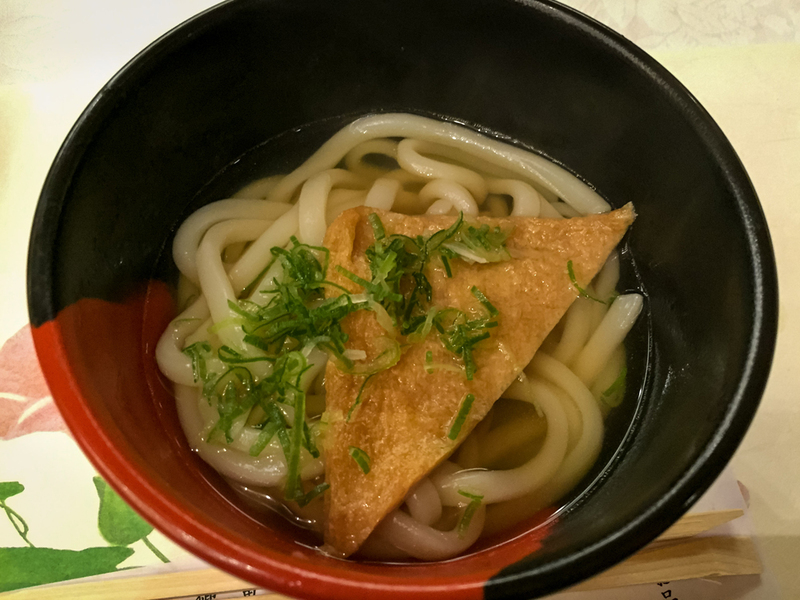 Using the expressions listed above, it’s possible to order cold soba or udon with soy sauce (shouyu) instead of a dashi-based one at most restaurants. The little sauce package accompanying cold soba from a konbini refrigerated counter is unlikely to be vegan (or even vegetarian), so you might want to use separately purchased soy sauce instead to be safe. 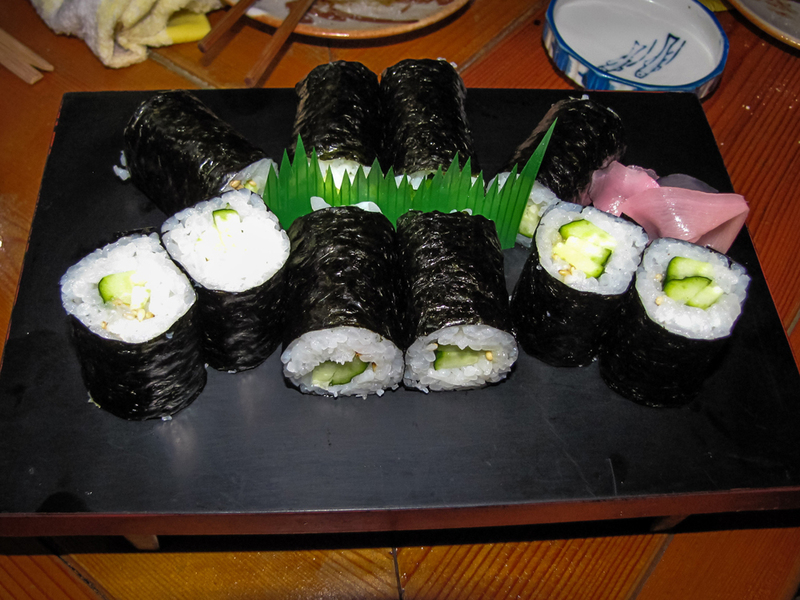 Avocado and cucumber sushi are less common at Japanese sit-at-the-counter sushi restaurants. After all, it’s all about the freshness of the fish. It’s advisable to ask ahead of visiting this kind of restaurant if vegan sushi can be prepared and not expect fish-free sushi to be part of the regular menu. Prepare to be the center of attention (and, possibly, pity). Conveyor belt sushi restaurants tend to have some rather than a lot of vegan options such as oshinko-maki (sweetened radish pickle rolls), kappa-maki (cucumber rolls), natto-maki (fermented soy beans), ume-shiso-maki (plum and Japanese basil rolls), with possible additions of avocado rolls and seasonal vegetable specials. Added bonus: no funny looks, as what you take from the conveyor belt is left to your own discretion. 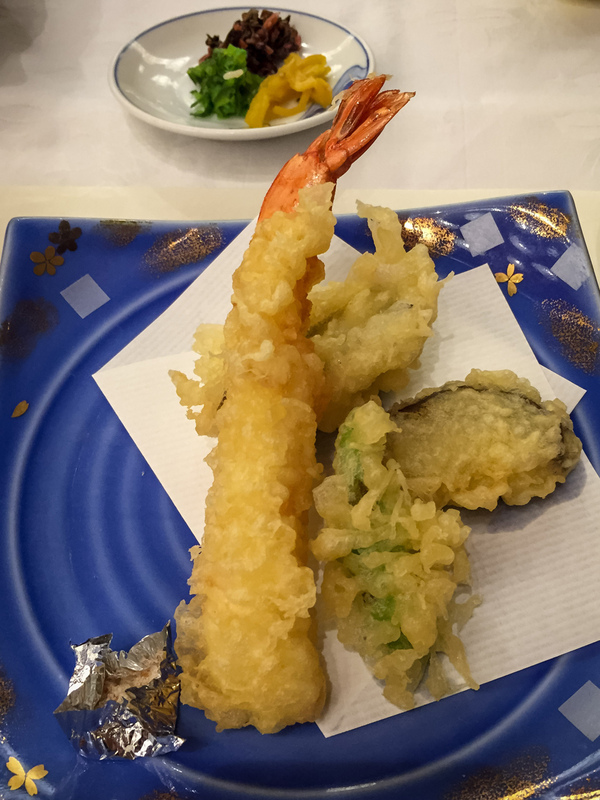 Tempura, battered and deep fried vegetables and seafood, are a common snack. While the veggies are fried in the same (vegetable) oil as their seafood counterparts, the batter is often vegan and always vegetarian. 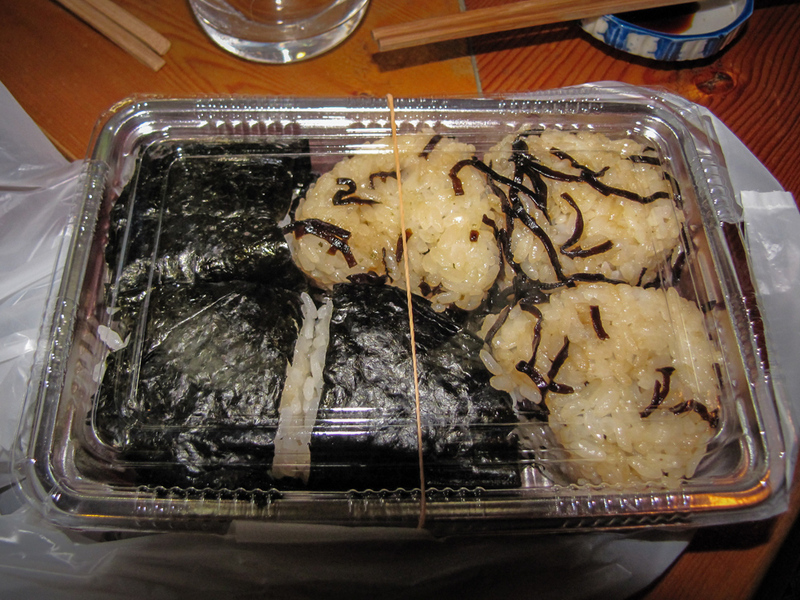 Onigiri are triangular shaped rice balls. Sold at every convenience store, they make for a great snack between meals. 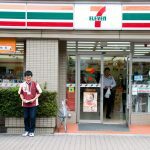 Most stores have a few vegan options available: ume (salted plum) onigiri, takana (pickled radish leaf) onigiri, wakame (seaweed) onigiri and seki-han (red-bean cooked in glutinous rice) onigiri. Look out for the kanji and kana listed above for dashi and bonito extract to make sure the seaweed wasn’t soaked in fish broth. 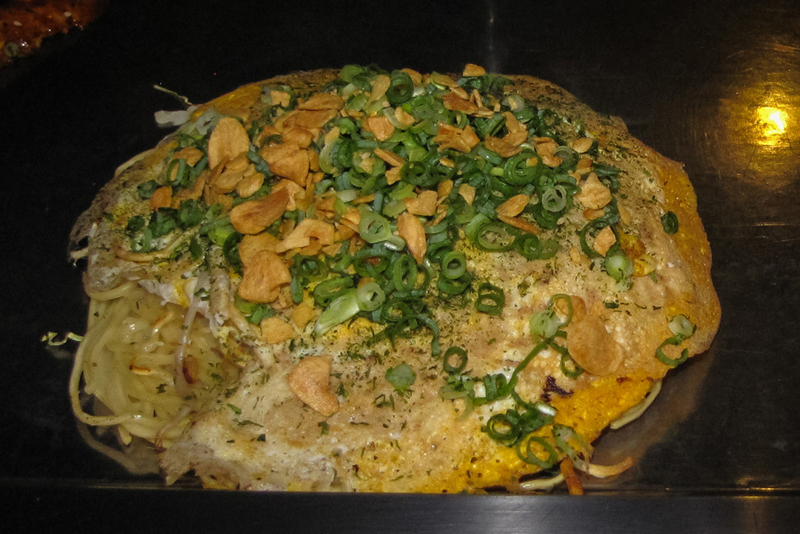 Okonomiyaki can usually be customized. 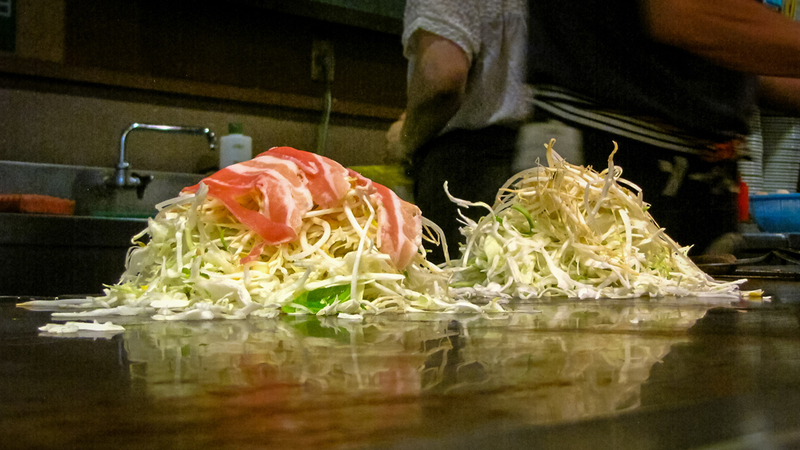 As okonomiyaki, a savory pancake, is always prepared on the spot, restaurants tend to be more open to “please leave out the meat” modifications, making it a pretty veggie-friendly meal already. Some okonomiyaki restaurants take things a bit further. Vegetarian Okonomiyaki in Nagataya restaurant, Hiroshima. Nagataya in Hiroshima offers a separate vegetarian menu in English with vegan okonomiyaki options available, including vegan sauces. Conveniently located between the Peace Park and Hiroshima Castle, it’s a great spot to sample this Hiroshima specialty. Tofu gets a bad reputation of being bland and boring among non-vegetarians. 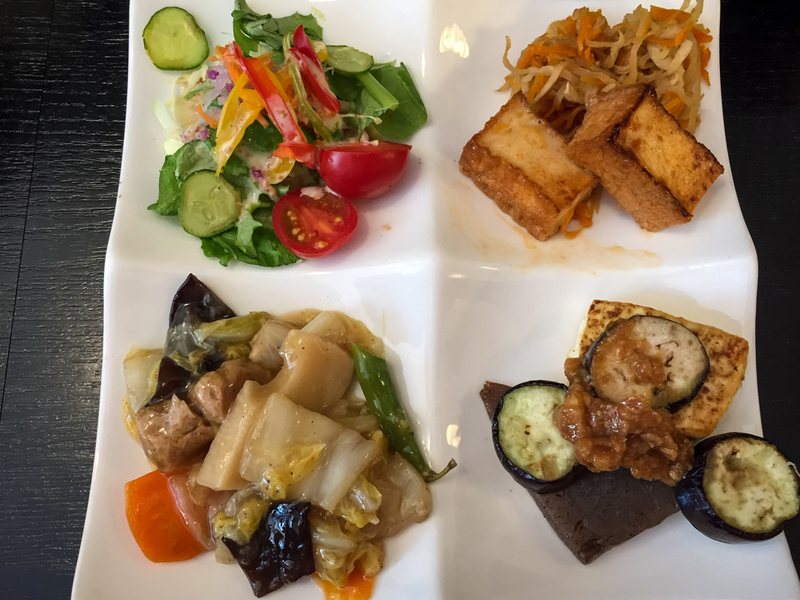 In Kyoto, one restaurant’s “mission” is to convince its guests of the bean curd’s versatility. That restaurant is Tousuiro, operating one branch in Gion and another in Kiyamachi street. Tousuiro’s focus on tofu (chilled, grilled, boiled, fried, sweet, savory, in ice-cream form and more) makes it easy to accommodate a vegetarian or vegan diet, even though the menu is not strictly vegetarian. The Gion branch offers a vegan menu at advance request, but when we visited the Kiyamachi branch, it wasn’t too complicated to change the soup (containing our old friend dashi) to a different, vegan course, either. When I first came to Japan, I was reluctant to try traditional Japanese sweets. Put off by their gelatinous nature, I expected them to be made using animal gelatin. But they are, in fact, very vegan-friendly, as it is a type of agar called kanten which gives them their jellied form. 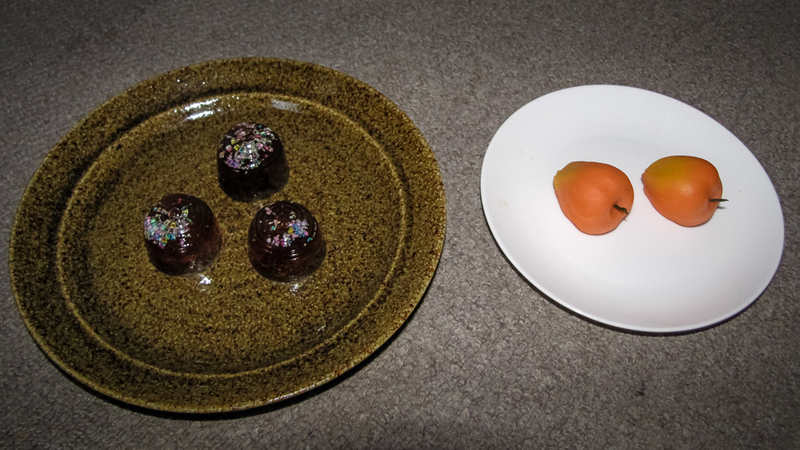 Other vegan desserts include mochi (rice cakes) and a variety of sweets based on azuki bean paste or chestnuts. Black sesame (kuro goma) tofu ice-cream is another delicious specialty, but might include dairy despite the tofu base. Vegan shojin ryori dinner at Ekoin temple on Mount Koya. 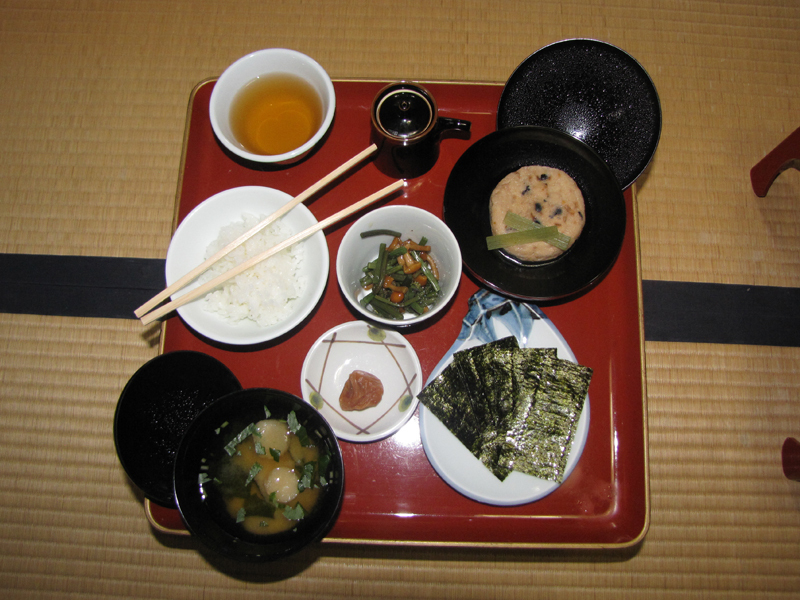 Last but not least, there’s shojin ryori, Japan’s traditional Buddhist cuisine. Leaving aside sengoku jidai warrior monks for a second, Buddhism is based on a concept of non-violence that includes frowning upon the killing of sentient beings for food. After the introduction of Buddhism to Japan in the 6th century CE, there was even a period where the consumption of meat (excluding fish and birds) was prohibited by imperial decree. Shojin ryori developed in the following centuries. Using only high-quality, fresh and seasonal ingredients, it’s the undisputed king of vegan food in Japan in both price and quality. Even if different Buddhist sects might interpret restrictions differently, shojin ryori meals will almost always classify as vegan. 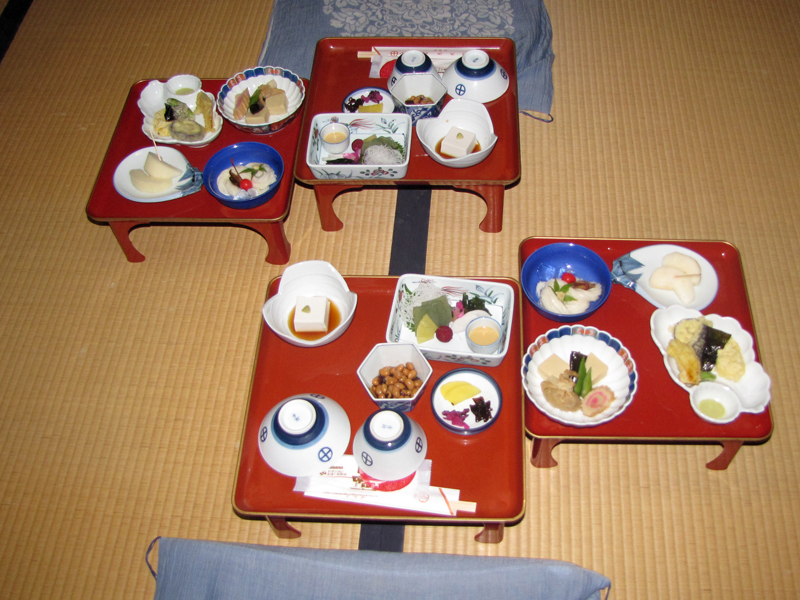 Vegan shojin ryori breakfast at Ekoin temple. Served at many temples (especially in Kyoto), Mount Koya in Wakayama Prefecture is the prime destination for experiencing shojin ryori. As the center of Shingon Buddhism, the holy mountain is home to many temples offering shukubo, or temple lodging. 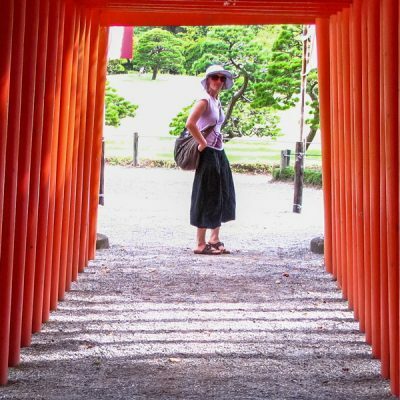 Shojin ryori, despite its emphasis on simplicity, is haute cuisine and comes at a price, but spending the night at a Buddhist temple, participating in meditation and prayer rituals and sampling the works of art that are shojin ryori meals makes for a wonderful experience for vegan and non-vegan travelers alike. Japan offers a variety of unique, vegan-compatible culinary experiences, but language and cultural barriers can lead to misunderstandings and frustration on both sides. For long-term visitors and residents, vegan dashi is easily prepared, and fresh tofu is widely available. 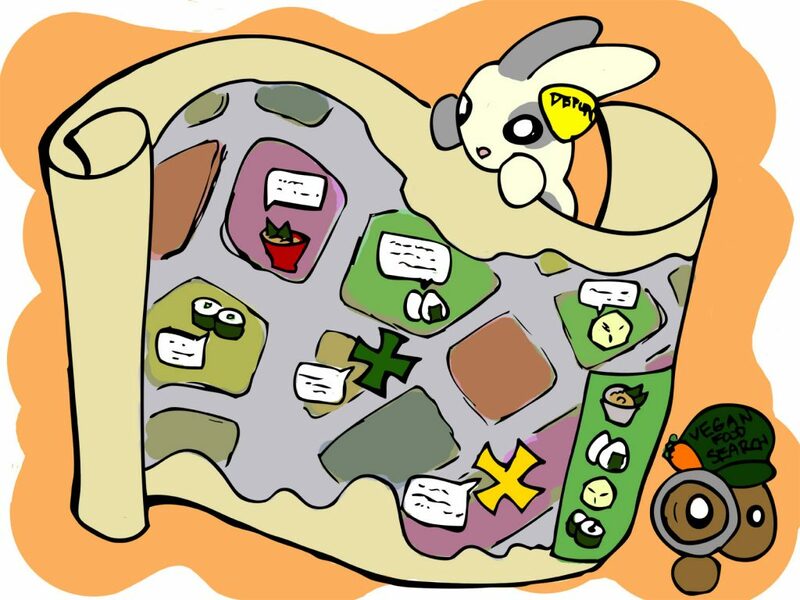 For travelers, checking Happy Cow for restaurant options is highly recommended. As many purely vegetarian and vegan restaurants don’t focus on Japanese cuisine alone, it can be a challenge to find a place that caters to vegan guests who want to experience traditional Japanese food over a vegan burger. For that reason, I would always include vegetarian-friendly restaurants in a Happy Cow search. Some of the best vegan meals I enjoyed in Japan were in omnivore, vegetarian-friendly restaurants. Keeping an open mind and trying not to exclude oneself can open up unexpected doors in non-vegan settings, without having to compromise on our values and the choices we made for ourselves. Vegan dinner at Mumokuteki restaurant, Kyoto. So long, ja mata, and itadakimasu – enjoy your meal. Whereas I am not remotely vegan myself, I found this series informative. I have vegetarian friends that, if they should choose to visit Japan, will definitely need some accommodation. Restaurants are such a huge facet of the culture in Japan. It would be a damn shame for vegetarians to miss out on all the fun. In short: thanks for the info yo! 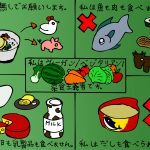 A 3-part series aimed to introduce vegans (and vegetarians) in Japan to the opportunities and challenges of Japanese cuisine. Part 1: introduction, history and major challenges. 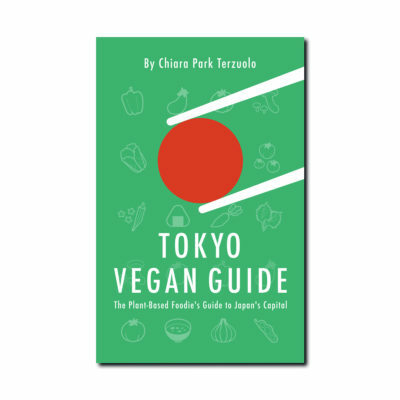 A three-part series aimed to introduce vegans (and vegetarians) in Japan to the opportunities and challenges of Japanese cuisine. Part 2: the importance of good communication.